Wow! I’m awake and it’s 3:30am. Not unusual for me, especially at this time of year, and I love being awake because it’s the quietest time of day to work. As normal I stretch, groan as I crunch into shape and get out of bed to go to the kitchen and make coffee, de-caf at that time of the morning! Heading to the kitchen I visit the bathroom on route. … sadly, this is not the case! Being hypermobile is useful as things made from ‘collagen’ expand when this happens, but at the same time it isn’t. 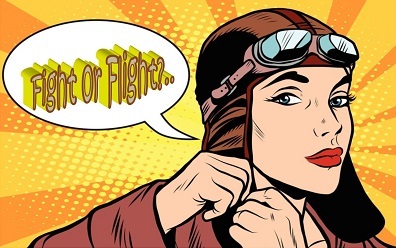 As told by my rheumatologist 6 years ago it is due to my genetic ‘collagen disorder’, or ‘connective-tissue’ disorder that my bowel works the way in that it does with the many problems that I have. Due to long term use of prescribed ‘codeine’ based pain medications causing ‘constipation’ I developed an Obstructive Bowel Disorder, and ‘rectocele’, which was in fact worse because of my EDS. I am always at risk of more prolapses and rectoceles. I had surgery 6 years ago two months before getting official diagnosis from my rheumatologist. Pain medications are notorious for causing constipation and are a huge contributing factor to my IBSc problems. My genetic ‘collagen disorder’ and associated ‘hypermobility’ are also why I get ‘bursitis‘ in my joints, and why my joints are unstable, plus why I have a certain degree of muscle weakness that all contribute to higher inflammation and pain levels. What is the ‘icing on the cake’ though, is the combined efforts from the ‘inflammation’ of all of the conditions to cause enough disruption that my sciatic nerve keeps getting ‘twanged like a pick to a guitar string‘! Sitting, lying down, standing are all intensely painful because applying any amount of pressure to my hips makes my whole middle reach the high octave of pain levels on the pain scale. ‘Stress’ is known to be a trigger for many health conditions, but in this instance it is an ‘after-effect’ caused by the high levels of pain, which causes emotional upset. Once this is in motion I always end up chasing ways to reduce the pain and when it doesn’t reduce then my body reacts by tensing the muscles up, which, of course is known to increase pain levels. The one thing I try and acheive is a relaxed physical, and emotional state, but it often cannot be gained until the pain is manageable. A game of ‘catch 22’. Yes! at this point I am indeed crying!! I’ve only been awake for 40 minutes. The intense pain leaves me pacing and then writhing, and pacing and writhing…. … A vicious cycle of trying traditional meds, essential oil blends, and drinking peppermint tea. When should I implement my coping strategy? As soon as symptoms materialise, or when first noticed. Catching the bursitis early can prevent it affecting the insides of pelvic region. Which trigger do I eliminate first? Bursitis in the hips because it is on the outside putting pressure on everything inside. Abdomen to reduce the inflammation putting pressure on the bowel and bladder. Lower back to stop the sciatic pain. What can I do to get this under control? Despite the chronic pain try to relax because being tense increases pain levels. Take the coping strategy seriously. Get up and about regularly to get the body moving despite the pain. Try to get into a relaxed state as tensed up muscles make the pain worse. How can I resolve this quickly? Apply Pain gel as soon as possible. Take paracetamol and sip at water. Make peppermint tea, or green tea. What medications do I have that I can, or cannot, take or use for the different types of pain that this scenaro is creating? This includes taking into consideration when you last took your regular medications which I did at 10pm. Technically I have no medications other than Paracetamol that I can take orally as my Tramadol and Pregabalin are 12 hourly doses. I have ‘medication intolerances’ and I can’t take anti-inflammatories which would solve all the problems in one go! I do have prescription ‘Voltarol’ Pain Gel which contains ‘Diclofenac’, but I have to be careful using it especially around my pelvic region. Because it is absorbed through the skin externally I can tolerate it. Taken orally anti-inflammatories cause me more pain and sickness. Always have emergency numbers close-by, easy to get hold of. Who is the first person you’d call? Do you have someone that knows where to find your meds, your medication information, your personal details in case of an emergency? In case of emergencies have a list of your medications available and the times that you take your regular doses. This is just in case of an emergency and your family, or friends, have to call paramedics to come and get you, or call a doctor out. The above questions are part of my emergency coping strategy that I learned the ‘value’ of during my pain management course over 10 years ago. Having a coping strategy set in place for times when chronic pain overpowers you is a ‘very sensible’ suggestion and one that I try to advocate to our members and followers. Dealing with pain receptor overload like the one I explain above from my own personal experience is not easy, and first of all I have to accept it for what it is, get to know it, understand it so that I can unravel it like a game of ‘kerplunk’ until a controllable pain level is acheived. I can’t tell anyone how to do this for themselves because our bodies are different, we possibly don’t have the same health problems and even if we do that doesn’t make us the same. We probably don’t take the same medications, have access to the same care, we could have different ‘hyper-sensitivities’ and different types of pain in different places. Coping strategies are personal to you! Fibromyalgia tender points which sit in alignment with my hip bursitis and bowel inflammation. It’s taken me 5 1/2 hours to reduce the inflammation from the bursitis in my hips, unstable pelvic area, and IBS, just so that I could stop it all tweaking my sciatic nerve as a result of the swellings. Naturally, folks don’t forget the role of Fibromyalgia in all of this and the fact I permanently have a problem with overloading pain receptors! Add that to the fact that I need to decipher the types of pain which are being problematic the most each morning, and then it often changes frequently throughout the course of the day so I have to assess myself at regular intervals. Pain management takes work, and effort so that you get to know your own body, your own health and how each element of illness affects each other. Having multiple chronic illnesses means we have to navigate our minds through a lot of if’s and but’s before settling on answers, but if we don’t then pain management will continue to be difficult to acheive. This morning I knew the routine straight away because I am familiar with the triggers, I can spot them fairly quickly. Let’s face it pain management is exhausting! In an earlier blog post back in 2016 I wrote about the effects of anxiety on the body in relation to myself and a poster that shows you what happens. Other prescription NSAIDs for OA. For regular patients they can just pop an ‘anti-inflammatory’ and let it do the work to reduce both the ‘pain’ and ‘inflammation’. Sadly, I don’t have that choice, I’m too sensitive on the inside to take them orally. This is a sad side, and burden, to my multiple conditions that I have endured for over 2 decades, and prevention really is one of the key answers. However, there are times when it is difficult to manage and the only medication that I have to help with inflammation is my ‘Voltarol‘ pain gel as prescribed by my GP. It would be awesome to be able to take an anti-inflammatory and probably halve my problems. If only there was a ‘generic-type’ to suit those of us who are sensitive! I have seen research into drugs for specific illnesses, but I keep hoping that pharma will produce something more ‘generic’ soon. I’m a veteran now at ‘pain-management’ and testing my boundaries is something that I try to do regularly. After spending a spell with very poor mobility, for instance, I need to find out what I can endure physically, and mentally! In my #efpBarca mini-magazine I will explain to you how I did just this to find out my current limitations and will share with you the pains, and gains. 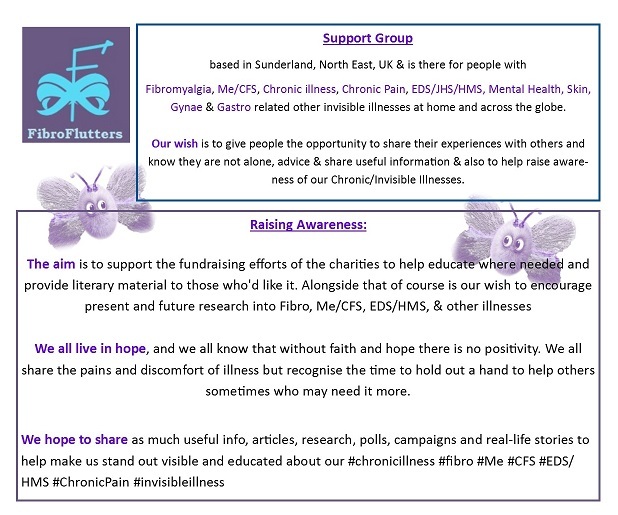 Support Group for people with Fibromyalgia, Chronic Pain, EDS/Hypermobility, Mental health, Chronic fatigue/Me, Rare & others offering friendship, support & advice in Sunderland, NE UK and offering online support via our social media network across the globe to everyone #notjustpatients.